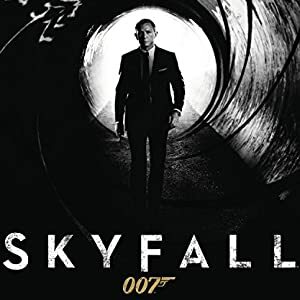 Daniel Craig is back as James Bond 007 in Skyfall, the 23rd installment of the longest-running film franchise in history In Skyfall, Bond's loyalty to M (Jundi Dench) is tested as her past returns to haunt her 007 must track down and destroy the threat, no matter how personal the cost. When Bond's latest assignment goes gravely wrong and agents around the world are exposed, MI6 is attacked forcing M to relocate the agency. These events cause her authority and position to be challenged by Mallory (Ralph Fiennes), the new Chairman of the Intelligence and Security Committee. With MI6 now compromised from both inside and out, M is left with one ally she can trust: Bond 007 takes to the shadows, aided only by a field agent (Naomie Harris) following a trail to the mysterious Silva (Javier Bardem), whose lethal and hidden motives have yet to reveal themselves. 5.0 out of 5 starsHow much do you know about fear? The Daniel Craig movies have really injected new life into the James Bond franchise, but "Skyfall" is possibly one of the best Bond movies EVER. This movie is not just a brilliant Bond movie, or a brilliant spy thriller, but a brilliant movie in general -- beautifully filmed, combining the old-school James Bond formula with a very 21st-century brand of terrorism. But what truly elevates this beautiful movie is Sam Mendes' focus on both Bond and M, and the terrible costs of living their lives. A hard drive containing information on double agents is stolen in Istanbul, and Bond (Daniel Craig) nearly manages to get it back. But he's accidentally shot by Eve Moneypenny (Naomie Harris) and presumed dead. He's not dead, obviously -- but he uses this as a chance to retire to a tropical island. But then MI6 is hacked by a cyberterrorist, and their headquarters is blown up. Bond reappears in London to offer his services to his country again, but he's obviously not fit for duty -- physically or psychologically. Despite this, M (Judi Dench) sends him back out to find the cyberterrorists before more agents are killed. The trail leads him to Raoul Silva (Javier Bardem), a former agent who specializes in cyberterrorism. He blames M for his torture and mutilation, and is determined to destroy her career before killing her. Even capturing Silva isn't enough to stop him, and soon Bond must flee London with M to make a final stand against Silva. If there is a underlying question to "Skyfall," it is this: Does an old-fashioned agent like James Bond belong in a world of cyberterrorism and individual extremism? Well, yes. The nature of conflict, evil and cruelty will never change, only the media through which they are spread. It's expressed in a lovely speech by M, which seems to say, "So what if it's the age of Bourne and Fast & Furious? Bond is timeless." But Sam Mendes does sow some seeds of doubt about the "old guard" -- M is coming to the end of her tenure, and Bond is beginning to crumble from the physical and mental damage he's taken over the years. Mendes' direction is truly spellbinding. The action is gritty and often brutal, but set against backdrops of breathtaking beauty -- a nighttime apartment lit by glowing jellyfish, Bond drifting on a boat surrounded by luminous paper lanterns, and the creaky polished beauty of Skyfall itself. But he never lets us forget the brutality of the villain's ways, such as when the token Bond girl is brutally shot in the head. The movie also takes the chance to dip into the relationship between M and Bond. They have an untrusting, almost antagonistic relationship, with Bond knowing he cannot truly trust M, but also knowing that she does what must be done. And as he encounters Silva, Bond begins to see the creature he could choose to become, but his essential decency holds him back. Craig and Dench rule this movie, and both of them are blisteringly good -- they give stoic performances with strong emotions roiling under the surface. Craig's performance is particularly brilliant -- this is a Bond aching and riddled with scars, but he still has the strength he needs. He also has some deliciously sensual scenes with Naomie Harris. Shaving never looked so hot. But who can forget Javier Bardem? He also gives a glorious performance as Silva, a flamboyant cyberterrorist who hides his hate under a perpetually laughing face. Only when confronted by the woman he wants to kill does he show his true rage. "Skyfall" is not just a brilliant James Bond movie, but a brilliant movie -- in action, in writing, in direction and in character. The next Bond movie will have a tough act to follow. It's difficult to write a review about a movie that you love without giving away something (spoiler type of stuff) but I'm going to try. First, Craig's Bond, in this film, is the one Bond character that I can say transcends the myth. He is amazing in this movie and even though he never wants to play the role again, I think he will go down as the best Bond ever. The character, which has been explored in a number of different ways, is complex, rich, torn and human in this film. He's a broken man that's been gutted, betrayed and left to pick up the pieces on his own. I even relate to his "addictions" which are woven into the film as an unspoken backstory instead of smiling and asking for a martini shaken not stirred. You want to root for him and at the same time you want him to stay in the dark place he was because of his failure. The only negative in the film is not giving Bardem enough screen time. He's a genius psycho that is so imbalanced you don't know if he is doing everything he does just to die or because he wants to kill everyone. I think he wants to die but take the world with him. Great movie, by far one of my favorite movies period and a must have. Although my family has rented Skyfall several times, we finally bought the DVD, because the movie is perfect; and perfection is rare, should be rewarded, and relived (in this case vicariously). 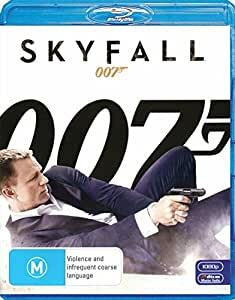 Skyfall is visually astounding; the plot is clever and surprising; the suspense is pretty much constant and intense; and the casting and acting are spot on. Oh, and there's a perfect balance of humor and drama. We love all of the Daniel Craig Bond movies, but Skyfall is the best. We hope Spectre lives up to the rest of the series. 25 people found this helpful. 4.0 out of 5 starsImportant film for the age in which we live. When I bought the DVD back in '13 and watched the movie for the first time, I was (unfairly) too hard on it. After recently watching it again, I think this is an important film, especially for the old Bond fans like myself, because we truly live in a different age. Our epoch has many conveniences and amenities, but it is also extremely frightening, due to the scourge of terrorism and slaughter of innocents. For this reason, "Skyfall" resonates more with me now, because it chronicles our fragile existence and is applicable to the age in which we live. When M reads the Tennyson poem in the courtroom you get goosebumps, because you detect the truth in the words. Epic. Also, the shootout at the Skyfall Lodge reminds me of an old American Western. In the words of Bond: "Some men are coming to kill us. We're going to kill them first." Is this movie formulaic at times, and hard to believe? Of course, it's a movie, and we watch movies to escape. But there are also some important themes in the film: loyalty, honor, perseverance, duty, integrity, courage. We need more of this in "action movies." A pretty cool entry as Daniel Craig returns in his third outing as James Bond. Throughout the years, James Bond actors that managed to make it to a third film have grown seasoned and are at their most capable. Goldfinger had Connery, Spy Who Loved Me had Moore and World Is Not Enough had Brosnan. Skyfall becomes a worthy entry for Daniel Craig. Bond deals with a man having stolen sensitive information, information his boss M badly wants back. An act of desperation on M's part leads to Bond being wounded and worse, the stolen information used against her and MI6. Bond returns to face this anonymous threat as he and M are on a path of great danger. Definitely one of the most realistic of James Bond stories, worthy of a Fleming novel. Though a bit to serious as very few jokes and one liners are told, some lovely women and a few gadgets. Great to get this on Blu-Ray for that Digital Copy. Some bond movies are rewatchable even a few of the dated ones. Of the updated version of Bond movies though this is my favorite. It's not afraid to be real to our more modern sensibilities, and understanding of the world. But it also holds all the best parts we've always loved about Bond as a relic of nostalgia. The story is sadly realistic and timely which makes it so much worse and so much better as a movie. I did have one "Oh that's just stupid," moment towards the end, but I got over it and just relished the rest of the movie. I don't buy very many movies that aren't specifically for the kids, but this one I had to have.